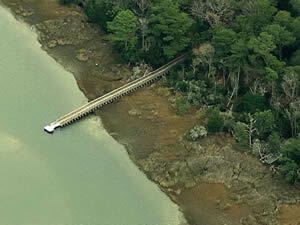 The Beaufort fishing pier along Taylor Creek is about 100' in length. The area has restrooms near boat ramp parking lot and benches along the shoreline and on the pier. Open 24 hours through the fall fishing season. Please call them for the exact dates. The Bogue Inlet Pier is 1000 feet in in length and offers; Lights, benches, shaded seating areas, trash cans and restrooms. 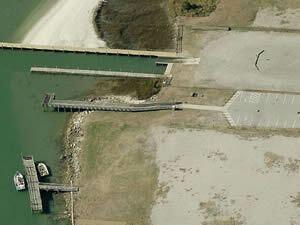 Amenities include; Fishing pier about 50 feet in length over waters of the White Oak River near Bogue Inlet, 7 vehicle parking spaces and restrooms. There is a boat ramp on site also. The fishing pier at the northern end of Cedar Street in Emerald Isles is 180 feet in length, with a 20 foot "T" at the end, there is a picnic table on the land area and a trash can. Parking for 6-8 cars. 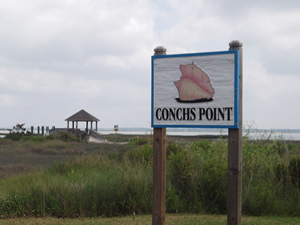 The Conchs Point dock is 160' in length over the water, please yield to incoming or out going watercraft. 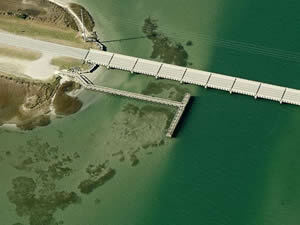 Emerald Island fishing pier is located at the intracoastal end of the channel serving the boat ramp. The walkway entrance is on the left side of the ramps once you get on the wooden walkway it is about a 1100' walk to the pier area. The area area offers; restrooms, benches, the parking area for cars is behind the launching ramp area. 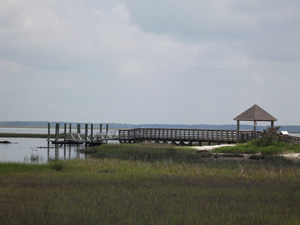 The Emerald Woods Park fishing pier is 70' in length over the water and offers; Pavilion, grills, restrooms, fishing, hiking, walking and wildlife viewing. 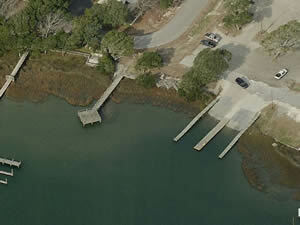 The Jaycee Park has 2 small piers near the boat docks. 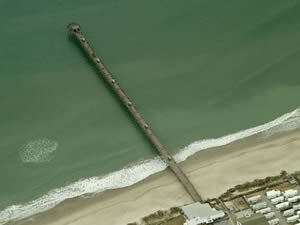 The pier at the end of 9th street is 60 feet in length, the pier at the end of 8th street is about 100 feet in length. The pier is located 1200 feet south on Harkers Island Road beyond the above address on the small island that is between the mainland and Harkers Island. 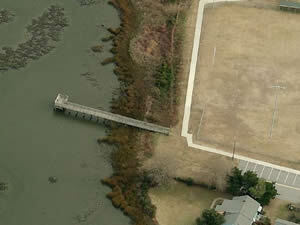 The Morehead City Recreational Center fishing pier is about 135' in length with 65' of this over the waters of Calico Creek. 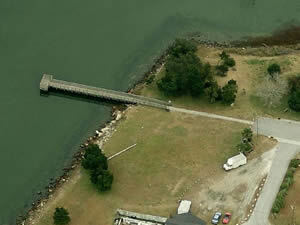 The Newport River boat ramp fishing pier is 565' in length over the waters of the Newport River. The pier offers; fish cleaning tables, benches, lighting & restrooms. 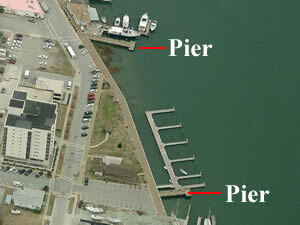 Pier is 400 feet north on N 11th Street from the above intersection. 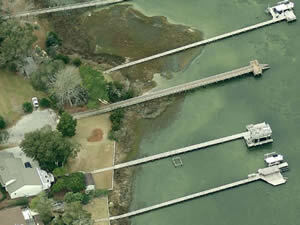 The North 11 Street fishing pier in Morehead City is about 130 feet in length with 65 feet over the waters of the Newport River / Calico Creek. Open 24 hours closes November thru April. 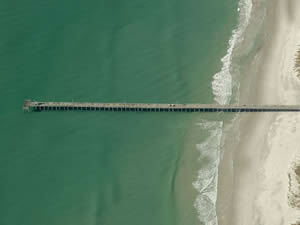 The Oceanana Fishing Pier is 1000 feet in length over the Atlantic waters and offers; Fishing, benches, lights and restrooms. 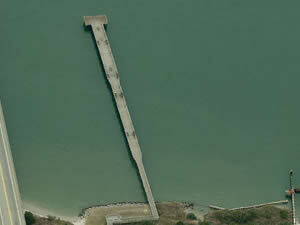 A small pier only about 40' in length over water, has a 10x16 foot platform at the end. Located next to the boat ramp.